Here is a fun game, use your iPad and tilt it to draw. You can use the sliders as well to compose amazing sketches that you can share with your friends on FaceBook or Twitter. 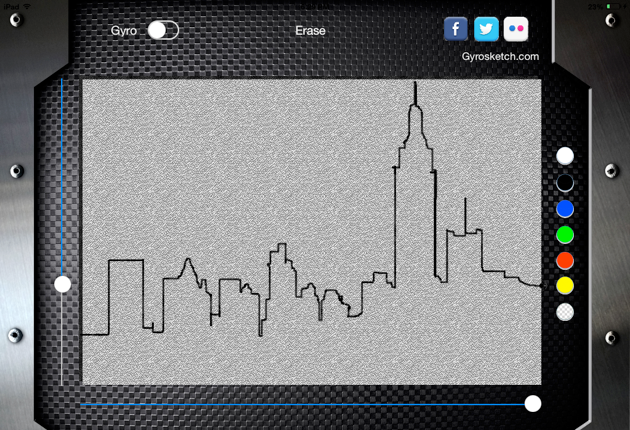 What’s more fun than creating a skyline of your preferred city? If you have kids, buy your tranquility and watch them have fun doodling with the GyroSketch.